NÔI – CŨISiêu phẩm ru ngủ cho bé: nôi rung 4moms, nôi Nuna. Cũi gỗ thông minh 5 trong 1, cũi gỗ IKEA. Các loại ghế rung boucer và rocker từ các thương hiệu Fisher Price, Chicco, Graco, Ingenuity. Nôi sơ sinh gấp gọn Chicco, Graco. Nôi – Cũi- Ghế rungSiêu phẩm ru ngủ cho bé: nôi rung 4moms, nôi Nuna. Cũi gỗ thông minh 5 trong 1, cũi gỗ IKEA. Các loại ghế rung boucer và rocker từ các thương hiệu Fisher Price, Chicco, Graco, Ingenuity. Nôi sơ sinh gấp gọn Chicco, Graco. Discounts like these don’t come around often! Amazon: Over 50% off Black Friday baby deals (including limited-time Lightning Deals) are live now. Walmart: ALL Black Friday deals live now at Walmart are right here. Nordstrom: Black Friday deals up to 60% off are live now. See them all. Graco: 20% off select products on buybuy BABY from 11/19 through 12/2. PishPoshBaby: 20% off on select gear from 4moms, DockATot, Baby Jogger and Skip Hop at pishposhbaby.com with code BFCM18 from 11/21 through 11/26. 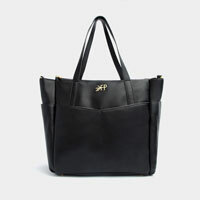 Freshly Picked: Big discounts on moccasins, shoes and diaper bags during November Half Yearly Sale at freshlypicked.com. Use code THANKFUL5 at checkout for an extra $5 off your order. Ends 11/27. Inglesina: $100 off the Zippy Light stroller. Light, compact and super easy to fold and navigate, it grows with your baby from newborn to toddler. Now only $249 in the Babylist Store. Silver Cross: $300 off Wave stroller, now only $999 on pishposhbaby.com from 11/21 through 11/26. Silver Cross: $50 off Jet stroller on pishposhbaby.com from 11/21 through 11/26. Bugaboo: over $200 off Cameleon3 stroller, now only $799 at Nordstrom.com from 11/21 through 11/26. nuna: 20% off Mixx2 at Nordstrom.com from 11/21 through 11/26. UPPAbaby: 15-20% off Vista, Cruz and Mesa in Denny car seats and strollers on pishposhbaby.com from 11/21 through 11/26. Thule: 20% off Thule products at Nordstrom from 11/18 through 12/3. BOB: $100 off select jogging strollers and travel systems at Amazon from 11/18 through 12/2. Joovy: 15% off select Caboose strollers on buybuy BABY from 11/19 through 11/26. Stokke: 20% off Xplory V6 strollers at BabyEarth from 11/19 through 12/26. Take $20 off the Chicco KeyFit 30 infant car seat, now only $159 at Amazon. Through 11/23 only. Doona: Free $100 gift card + free accessories with select colors on Doona car seats at Pish Posh Baby from 11/21 through 11/26. UPPAbaby: 20% off Vista + Mesa car seat and stroller bundle at EasyBaby from 11/21 through 11/26. UPPAbaby: 20% off Cruz + Mesa car seat and stroller bundle at EasyBaby from 11/21 through 11/26. nuna: $100 off RAVA convertible car seat at Nordstrom from 11/21 through 11/26. 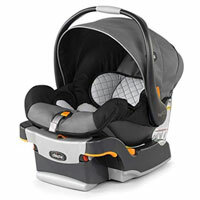 Chicco: $20 off KeyFit infant car seat, now only $159 at Amazon. Through 11/23 only. Cybex: FREE Cybex Cloud Q+ car seat in Stardust Black with purchase of Cybex Priam Stroller Magic Beans from 11/19 through 11/30. Cybex: FREE Aton Q car seat in Stardust Black with purchase of Cybex Mios Stroller at Magic Beans from 11/19 through 11/30. Maxi Cosi: 15% off select products on buybuy BABY from 11/16 through 1/3. Britax: 15% off Skyline Booster Seat at Walmart from 11/18 through 12/2. Graco: 50% off select car seats on Target. 11/23 only. 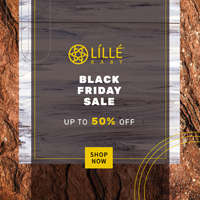 LÍLLÉBaby: Up to 40% off sitewide (excluding the Disney Baby Collection). 11/23 only. Baby K’tan: 20% off sitewide with code FALLSAVINGS from 11/23 through 11/27. Ergobaby: 50% off select Adapt carriers and 25-40% off other select carriers onlinefrom 11/23 through 11/29. Tula: 35% off select baby and toddler carriers online. 11/23 & 11/26 only. SAPLACOR: 30% off online with code BABYLIST30 from 11/19 through 11/30. Lily Jade: 10% off sitewide + free packing cases with any purchase of $225 and over from 11/19 through 11/27. HAPP Brand: Chic diaper bags – get a free Faux Fur Pouf keychain with any $50 purchase online with code holiday18 from 11/19 through 12/14. The Ollie World: 25% off all single swaddles, including Stone, Sky, Meadow and Lavender online with code babylist25 from 11/23 through 11/26. LaVie: 25% off the Lactation Massager online with code BABYLIST25 from 11/23 through 11/30. Lucy Darling: 25% off everything sitewide with code babylistholiday18 from 11/23 through 11/25. Pip & Grow: $65 off Best Gift Ever Bundle, featuring a Smitten baby box, extra sheet, sprout onesie, Pop pacifier and Zippy Jamz infant pjs: now only $85 online. Ends 11/23. RossiBossi: 15% off everything sitewide with code BABYLIST15 from 11/23 through 11/26. DockATot: 20% off everything sitewide with code GIVETHANKS from 11/23 through 11/26. Covered Goods, Inc.: 30% off everything sitewide with code BABYLIST30 from 11/23 through 11/27. Chicco: $80 off FastAsleep Dune playard, now only $100 from chiccousa.com. Ends 11/23. Easy Baby Travelers: Buy one set of 4 Travelers get a second set of 4 Travelers 40% offwith code BABYLIST40 or buy one set of 8 Travelers get a second set of 8 Travelers 50% off with code BABYLIST50 online from 11/23 through 11/25. JoliMoli: 20% off sitewide with code BLKFRIDAY18 from 11/23 through 11/24. Bebe Au Lait: 25% off sitewide including their popular nursing covers, feeding gear, blankets and more at bebeaulait.com with code HOLIDAY18 + free shipping on orders over $50 from 11/21 through 11/25. Puj: 25% off on everything sitewide including the Puj Tub at puj.com with code HOLIDAY18 from 11/21 through 11/25. Skip Hop: 25-50% off sitewide and Skip Hop in Carter’s stores from 11/21 through 11/24. 4moms: 10% off all 4moms products at EasyBaby from 11/21 through 11/26. Binxy Baby: 25% off everything sitewide including their popular shopping cart hammock at binxybaby.com while supplies last with code HOLIDAY25 from 11/21 through 11/26. Stokke: 15% off Flexibath Bundles at BabyEarth from 11/19 through 12/26. Stokke: 30% off Black Oak Tripp Trapp chair at Nordstrom from 11/21 through 11/26. SAPLACOR: 30% off the AEGIS Neonate Medical Wrap (rare deal!). The AEGIS makes skin-to-skin bonding with your newborn easier. Use code BABYLIST30 at checkout. ZoLi: 20% off sitewide feeding gear for baby & kids with code ZOLISS20 from 11/23 through 11/26. Baby Jives & Co: 25% off sitewide with code BABYLIST25 from 11/22 through 11/26. NursElet: 25% off entire order online with code BFBABY25 from 11/22 through 11/25. Best Deals: Want to Be the First to Know? Notifications about flash sales, one-day-deals, best-of-the-year prices and exclusive promo codes with our Best Baby Deals Facebook Messenger alerts. Get on the list! 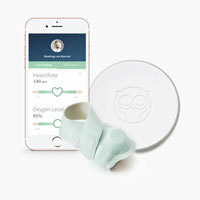 Owlet Baby Care: 20% off both the Smart Sock and the Smart Sock 2 from Babylistfrom 11/23 through 12/1. Kinsa: 30% off top selling thermometers, the QuickCare & Smart Ear, on Amazon from 11/23 to 11/26. Awair: $40 off 2nd Edition and $30 off Glow on getawair.com from 11/22 through 11/23. Nanit: $80 off Plus Sleep System with wall mount, multi stand and 1 year subscription to Insights and $100 off Plus Sleep System with floor stand, multi stand and 1 year subscription to Insights online from 11/22 through 11/26. Instant Pot: Lightning deal – 3 sizes (3 quart, 6 quart and 8 quart) all on sale (25-50% off) at Amazon. Ends midnight on Black Friday. Baby toy deals, kids toy sales and extras that make life more fun! Walmart: ALL Black Friday toy deals live now at Walmart are right here. Target: Buy one get one 50% off on tons of toys at Target.com. Little Feminist: A children’s book subscription that focuses on diversity and gender equality, teaching 0-9-year-olds empathy and perseverance. Get $5 off with code BABYLIST online from 11/19 through 12/31. Slumberkins: Up to 40% off sitewide from 11/22 through 11/26. Lovevery: $20 off online purchases of $100 or more with code BLACKFRIDAY20from 11/23 through 11/25. Rose and Rex: 25% off sitewide + $10 gift card with purchase of $100, $20 gift cardwith purchase of $200 or $30 gift card with purchase of $300 and more with code GIVEANDGET from 11/22 through 11/26. Loulou LOLLIPOP: 25% off sitewide with code GIVETHANKS from 11/22 through 11/25. Melissa & Doug: 60% off Deluxe Kitchen, now only $99 at BabyEarth from 11/20 through 11/22. Wonderbly: 15% off sitewide on beautiful, personalized baby & kids books with code BLACKFRIDAY from 11/19 through 11/26. Save up to 50% off on organic, super-soft, smart baby essentials + FREE US shipping. Quantities are limited! The best sales and clearance baby clothes from our favorite big brands and indie shops. goumikids: 50% off all newborn bundles and jamms online from 11/23 through 11/24. Nordstrom: Up to 60% off select items online and $50 gift card after a $300 purchase from 11/21 through 11/26. H&M: 30% off sitewide + free shipping with code 3238. Ends 11/23. Primary: 25% off everything sitewide + free shipping + an additional 25% off best-selling cozy styles for kids and baby with code BLACKFRIDAY from 11/21 through 11/25. GAP: 50% off + extra 10% off everything sitewide with codes BLKFRIDAY and TREAT from 11/21 through 11/24. RAGS: 30% off sitewide (excluding Disney products) for 1 hour only for newsletter subscribers from 7-8pm PST on 11/22. RAGS: 25% off sitewide (excluding Disney products) with code BLACKFRIYAY25from 8pm PST 11/22 through 11/26. Miles and Milan: 30% off sitewide with code BIG30 from 11/23 through 11/27. Gerber Childrenswear: Up to 75% off from Walmart: 25% off all onesies bodysuits, 30% off take-me-home sets, 40% off playwear, 25% off swaddles and blankets, up to 75% off select items and free shipping with code JINGLE from 11/22 through 11/27. Gerber Childrenswear: 35%+ off a 6-pack of white long-sleeve Onesies bodysuits, now only $10 online from 11/23 through 11/30. [ little. ]: 30% off sitewide + free shipping to US destinations with code BLACKFRIDAY from 11/23 through 11/24. KIDBOX: $25 off first box with code BABYLISTBF online from 11/23 through 11/25. Maisonette: 30% off sitewide (some exceptions apply) from 11/21 through 11/26. Zutano: 25% off with purchase of up to $100 with code BF25, 30% off with purchase between $100-$250 with code BF30 and 35% off with purchase of over $250 with code BF35 online from 11/23 through 11/26. Babiators: Buy one, get one deal online from 11/23 through 11/26. Tea Collection: Sales sitewide, including leggings and tees starting at $10 and $15dresses from 11/19 through 11/23. Petit Bateau: 40% off sitewide with code THANKFUL18 from 11/22 through 11/25. Sat Nam babe: 20% off capsule collection products online using code BABYLIST20from 11/23 through 11/26. Little Lentil Clothing: 30% off + free shipping for everything sitewide with code thanks30 from 11/20 through 11/26. Up to 55% off sitewide including their popular cribs, high chairs, bibs and bouncers from 11/21 through 11/27. Babyletto: 40% off selected cribs online from 11/23 through 11/26. Little Unicorn: 25% off sitewide from 11/23 through 11/27. Milestone: 20% off sitewide with code BLACKFRIDAY18 from 11/22 through 11/27. Pehr: 30% off sitewide from 11/23 through 11/27. Naturepedic: Free ground shipping online from 11/23 through 11/29. Copper Pearl: 10% off all purchases, 20% off purchases over $75 and 25% off purchases over $150 online from 11/23 through 11/24. Artifact Uprising: 20% off sitewide (for the first time ever!) with code GIFTJOY from 11/23 through 11/26. Woolf With Me: Buy 1 fitted sheet get 1 blanket 20% off (discount applied at checkout) online from 11/23 through 11/26. Caden Lane: Up to 25% off entire online purchase: 20% off any purchase with code FRIDAY20 or 25% off with purchase of $300 or more with code FRIDAY25 from 11/22 through 11/24. Toi et Moi Co.: Discount prices will be reflected on the website for each individual product and at checkout from 11/22 through 11/26. Curated Nest: 15% off sitewide and 25% off online design services with code GOBBLEfrom 11/23 through 11/26. Aimee J Keepsakes: 20% off sitewide with code blackfriday from 11/23 through 11/27. Saranoni: 25% off sitewide, 45% off select doorbusters and up to 60% off of sales pagewith code SARANONI25 from 10pm 11/22 through 11/24. Tula: More than 50% off of single blankets and nearly 50% off of sets of 3 baby blankets online. Ends 11/23. Beautyrest: 20% off Room2Grow Bedside Newborn Bassinet to Infant Sleeper in Grey on buybuy BABY from 11/23 through 11/26. 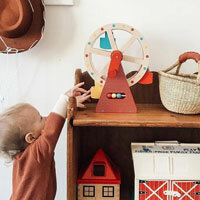 Maisonette: 30% off sitewide on nursery, home, decor and kids clothing (some exceptions apply) from 11/21 through 11/26. Bloom: Up to 55% off sitewide including their popular cribs, high chairs, bibs and bouncers from 11/21 through 11/27. Ziya Blue: 25% off personalized nursery pillows online with code BABYLIST25 from 11/21 through 11/28. Million Dollar Baby: $100 off on Alden Swivel Glider on buybuy Baby from 11/16 through 11/28. Abbyson: 15% off select gliders and rockers on buybuy Baby from 11/16 through 11/29. Graco: 15% off Remi Swivel Glider on buybuy Baby from 11/16 through 11/29. Little Partners: 20% off Learning Towers on buybuy Baby from 11/18 through 11/27. Disney: 40% off select Mickey and Minnie Mouse upholstered kids chairs on buybuy Baby from 11/18 through 11/27. 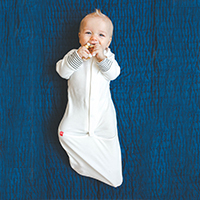 Tiny Love: 20% off select products on buybuy Baby from 11/16 through 1/3. Lambs & Ivy: Up to 80% off during their Clearance Sale on designer crib bedding collections and more from 11/1 through 12/25. Olli+Lime: 30% off sitewide on modern nursery goods with code THANKS30 from 11/16 through 11/24. buybuy Baby: 15-25% off modern cribs and gliders at buybuy Baby this week! Head to their savings center to see all the discounts. Stock up! Here are the best formula, baby food and diaper deals this week. Charlie Banana: 35% off Black Friday Sale section on cloth diapers, swim diapers, feminine pads and more with code BABYLISTBF18 from 11/22 through 11/26. Puj: 25% off sitewide with code HOLIDAY18 from 11/21 through 11/25. Tubby Todd: 15% off sitewide with code BABYLIST2018 from 11/22 through 11/26. Target: Spend $50, get a 20% off coupon for a future purchase online. Ends 11/23. Grovia: 20% off all products at BabyEarth from 11/23 through 11/26. Babo Botanicals: 40% off sitewide with code TGIBF40 from 11/23 through 11/26. Raised Real: A flash frozen food delivery for babies & kids that comes in pre portioned packets. Get $25 off first box by signing up at raisedreal.com with code BABYLIST25from 11/21 through 11/25. Babyganics: 30% off on diapers, baby wipes, bubble bath, daily lotion and more + save an additional 20% off with Subscribe and Save at Amazon from 11/19 through 11/26. Maternity clothing, prenatal vitamins and deals on gear for parents and parents-to-be. MOMBOX: 25% off any box of self-care items for postpartum at mom-box.com from 11/23 through 11/26. Ollie Gray Bras: Buy one, get one 50% off sitewide from 11/23 through 11/26. UrbanSitter: 75% off annual membership by signing up from 11/23 through 11/30. Asos: 25% off sitewide with code EPIC25 from 11/22 through 8am 11/27. Isabella Oliver: 30% off selected lines online + additional exclusive daily deals for email subscribers from 11/20 through 11/26. PinkBlush: Up to 60% off sitewide + 50% off Canada shipping with code BLACKFRIDAY + doorbusters starting at $10 from 11/18 through 11/24. CozyConcierge: 40% off CozyRack Maternity/Postpartum Tanks with code BABYLIST40 and free CozyConcierge Discovery Package with code BABYLISTCOZYonline from 11/21 through 12/1. Shutterfly: Up to 50% off sitewide at Shutterfly.com with code GREATDEALS from 11/19-11/22. Chatbooks: 20% off everything sitewide with code JOY from 11/16 through 11/26. Savings for our BFFs up north! Munchkin: Save on toys, feeding gear, and more at Amazon from 11/19 through 11/30. Giấy CNĐKDN: 0314825019. Ngày cấp: 09/01/2018. Cơ quan cấp: Sở Kế hoạch và Đầu tư Thành phố Hồ Chí Minh.